Are you struggling to maintain or increase your landing page conversion rate? For small businesses, this is an extremely important metric to maintain. If you’re thinking about creating a new landing page for your website to promote a new service or product, or to collect qualified leads, you’re probably wondering the best way to do it. Luckily, there are a number of ways that you can create engaging content to increase your landing page conversion rates. Check ’em out! The first step in creating a great landing page is to create a buyer persona so you can understand what type of visitors are coming to your website and how best to keep them focused on your page. Forming a buyer persona is essentially creating a biography of your ideal customer. It is important that you create this persona through real facts and data that you can gather through talking with or surveying your customer base. If you’re a relatively new small business, use your best judgement to discern who your ideal customer is. Do involved market research, check out who your direct competitors are, and establish your UVP (unique value proposition) to get a better idea of who your target audience is. The more specific you get, the better results you will achieve when writing and targeting your content pages through this part of the buying journey. Targeting your buyer persona(s), while developing your landing page, will help increase your attraction rate and keep your potential customers on your page. After all, if your audience isn’t interested in visiting your page, you’ll have a harder time gaining clicks and conversions. The most important takeaway here is that you need to give your ideal customer something they want. The days of throwing an advertisement out into the world in hopes that it’ll gain traction and result in new customers are gone. With all the competition on on the web today, you need to always be thinking, “How can you help your customer?”. Answer this, and you are on the right path to creating a landing page that will actually gain a high conversion rate! Great content starts with a catchy headline. Your headline must be eye-catching since it’s the first thing your site visitors will see when they land on your page. And it will often be the difference in whether or not web searchers click your result and possibly convert. Your content should always be focused on how to help your customer and the headline is no exception. What’s the purpose of your landing page? Is it to provide additional information, interest the reader in a new product, encourage them to extend their service etc? Create your headline based off where your ideal target audience would be in their buyer’s journey. Your content needs to meet them where they are if it’s going to be effective and gain conversions. Your headline will be the biggest text on your page, so your audience will automatically be drawn to (and read it) first! Make that section count! In all cases, it’s essential to provide the customer with the information they need at that specific time and craft a headline that hints at what the searcher will get by landing on the page. It may take a little extra time to make it concise, but it’s worth it to get your content started off right. Great content will lead to great results, but it’s not as easy as it sounds. 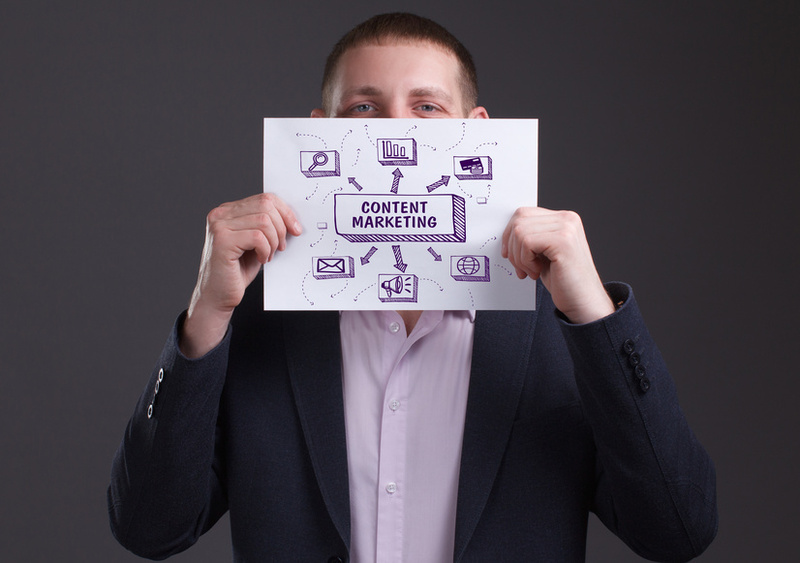 It will take time to create content that meets your objectives – but it will be time well spent. The primary reason your landing page exists is to get your visitors to take an action and increase your conversion rate. This is accomplished best if you have crafted content in a way that you can provide a benefit to your visitor. Keep your ideas focused and choose the length of your content carefully. Too little content may cause your visitors to not take action, but too much may turn them away. To find out how much content you want to include on your page, consider what you’re offering and what kind of action you want your site visitors to take. For example, more complex actions and products are going to require more information than a simple landing page. The deciding question that will be on your readers’ minds is, “How does this help me?”. No matter what you are trying to get your visitor to do, this will be the question they are asking themselves. Address this question, in you headline, your landing page CTA (call to action), and your page content. Speaking of which, your CTA needs to be crafted with the same care as your landing page content. Your CTA has an important role to play. It’s the actual text you use as a final push to encourage your users to take your offer and hopefully convert. Shorter call to actions are typically more effective, so don’t go over five to seven words. Use engaging verbs that show value like “create”, “get”, “test”, “download” etc. to get the best results. One of the biggest reasons why landing pages gain conversions is because they’re SIMPLE. Your landing page should have one purpose only, to increase the conversion rate of a specific CTA. Don’t fill your landing page will distracting menus, links, or unrelated media. 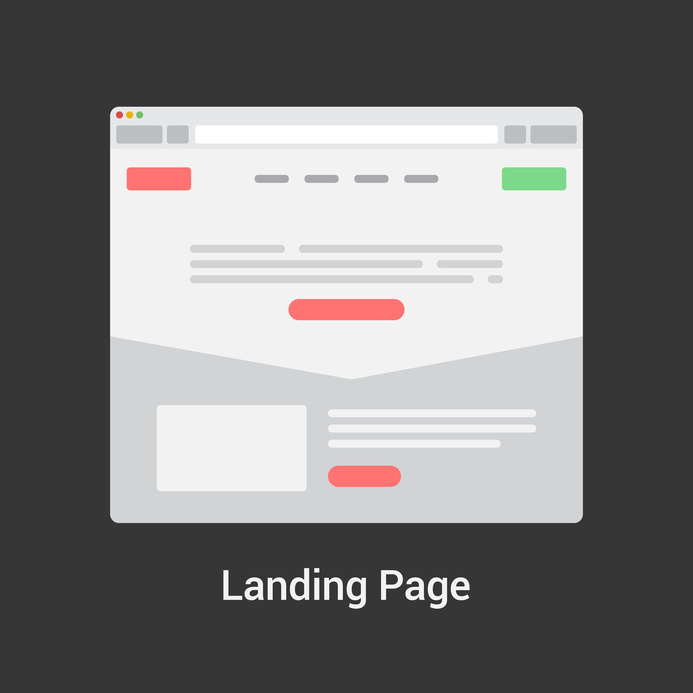 Your landing page should be isolated so your site visitors can focus on completeing the one single action that you present them. The more unnecessary information you include on your landing page, the more your web conversion rate will suffer. Create a compelling and clear CTA offer that isn’t complicated and will give your visitors something they’ll want. Your landing page content needs to encourage your visitors to complete that CTA action and nothing more. We talked about creating a minimal design landing page, but that doesn’t mean you shouldn’t include interesting media (if it’s supportive to your point). Images and videos help to increase a visitors on page time, and keep them engaged with your page content. Many people prefer to watch a short video clip or get quick information from an image rather than read plain text anyway. However, make sure every image, video, or visual you use is being included for a reason. If you’re selling a specific product, for example, use videos and pictures that show your potential customers how that product will benefit them. Providing documented proof of the benefits of your products or service is a great way to reassure potential customers and move them towards converting faster. Another way to support your content is by offering social proof of your product, service, and business. Create social media profiles on a variety of platforms to better advertise your small business and connect with your target audience! 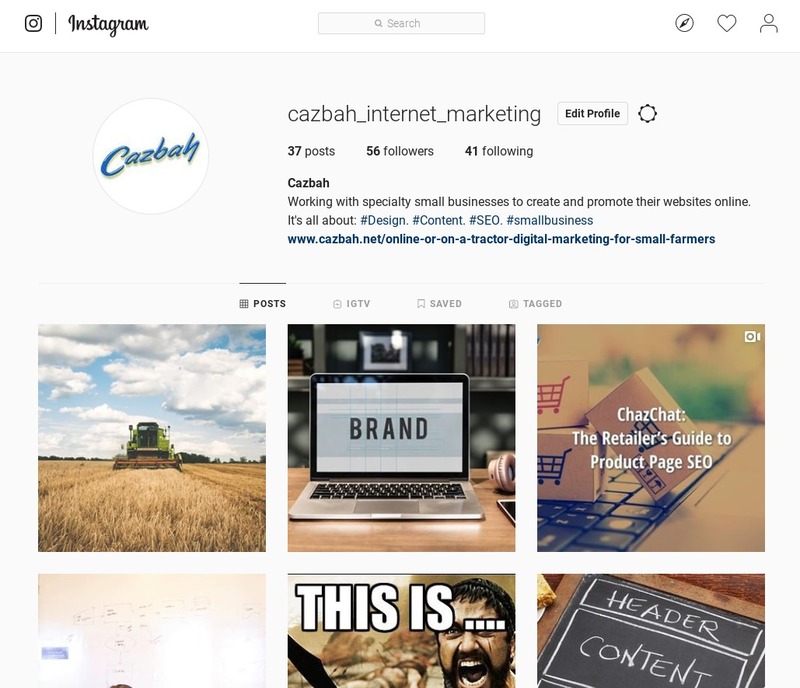 You can post updates, useful content, relatable photos and videos, and interact with your followers’ content too! This type of social proof adds an aspect of trust for your visitors. People are more likely to convert from your landing page if they know that you’re a trustworthy company and have some level of familiarity with your small business and brand. Being active on social media shows your prospects that you are in fact real and actively engage in the world around you. Having active social media accounts that people can check out will help to create a more personable side of your small business that prospects can relate to as well. We’ve spent a lot of time talking about content creation, but you should also make sure you invest time creating a page design with user experience (UX) in mind. Your words and design must work together for your landing page conversion rate to increase. The colors you use, the font style and size, the white space, and more all play a big part in captivating your audience’s attention. Invest in a minimal website design to keep visitors actively engaged and find what they’re looking for easier. Additionally, it’s essential to have a responsive page design as well. Mobile search is rapidly becoming the preferred online search norm for many and your website needs to be ready! Run a quick mobile friendly test to see if your website meets the current mobile search standards and will perform well on different sized screens. Otherwise, you could be losing a whole group of potential web leads and alienating future customers later down the road. Now that you’ve created an amazing landing page, it’s time to test it. Failing to analyze how visitors interact with your page is a huge mistake. If you don’t test it, you’ll have no way of truly knowing how successful your landing page is. The best way to do this is by using a combination of Google Analytics and A/B testing. Google Analytics can quickly tell you how many visitors came to your page and how many converted (if you create Analytics goal tracking). With A/B testing, you split your traffic in half. 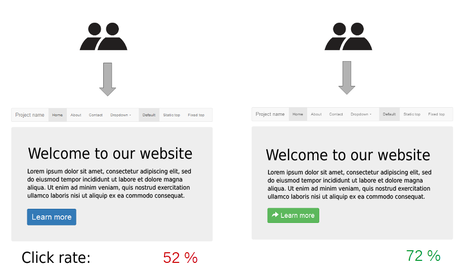 One group sees one version of your landing page and the other group sees the alternate version. This allows you to see your work in action and determine what’s working and what’s not. A/B testing is most effective when used to test one specific element at a time. For example, if you have two CTA button designs and you’re not sure which one to use, use A/B testing to try them both! Once your page receives enough traffic, you will have the data necessary to see which option your web visitors prefer. This will allow you to keep updating and improving your landing page to increase it’s conversion rate. Creating a landing page from scratch is difficult but if you follow these tips, you’re well on your way to creating an engaging page that will help increase your conversion rate of site visitors. Want More Info on How to Grow Your Business? Check out our website and get a FREE comprehensive analysis on why your site is not performing and how to fix it! Check out our blog page for more useful articles on a variety of topics!